Home / Entertainment News / Here’s a PHOTO of innocent looking ANN WAIGURU when she was a junior staff at the Treasury. Here’s a PHOTO of innocent looking ANN WAIGURU when she was a junior staff at the Treasury. Wednesday, August 23, 2018 - A photo of Kirinyaga Governor Ann Waiguru when she was working as a junior staff member at the Treasury has emerged. Back then, she was just a simple and humble lady. 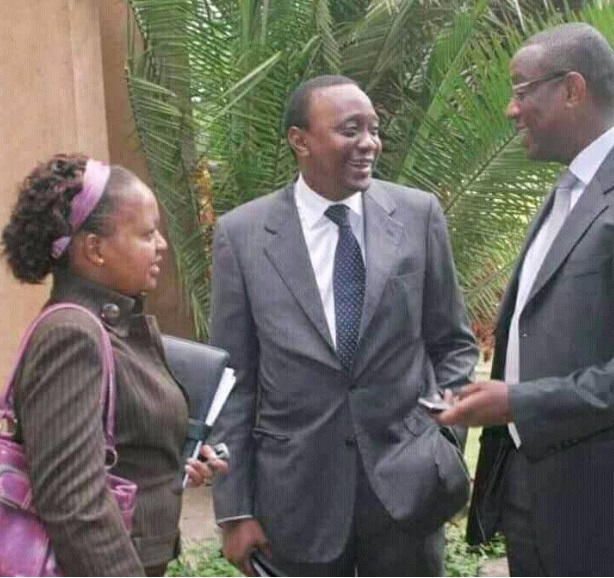 In the photo, Waiguru is seen having a chat with President Uhuru Kenyatta, who was the Minister of Finance.